This past spring I had a tremendously inspirational experience. Out of the blue, a lovely woman from Concord, Laura Stevens, contacted me about the possibility of viewing my documentary film about the Monarch butterflies, Beauty on the Wing: Life Story of the Monarch Butterflies. I was reluctant at first, explaining that the film was in a rough cut form. Although the rough cut features the butterflies and Cape Ann in the most beautiful light, the film does need finessing. Laura comes from a wonderful family and they all love Monarchs! Every year, she and her family gather together for a reunion based around a weekend of learning. Laura explained that it would be an extra special treat for the 27 women and children who attend the reunion to see the film. The more I thought about it the more I thought it would be a super idea, and sent her access to the film. Several weeks passed when in the mail I received the most heartfelt thank you letters from Laura and her family members who had attended the screening, from the ninety-five year old great auntie to the youngest child there. And soon after that, donations towards the film’s completion arrived from this most generous family. I am so grateful to Laura and her family for the donations, and for their kind encouragement and enthusiasm. At that time the thought crossed my mind that this would be a wonderful way to continue to raise funds for the documentary. Landscape design work and the story of Little Chick and the Piping Plovers has kept me from doing any recent fundraising, but my work typically slows for a brief period during the end of August and beginning of September. Don’t you think it auspicious for my film project that we are seeing so many butterflies this summer? 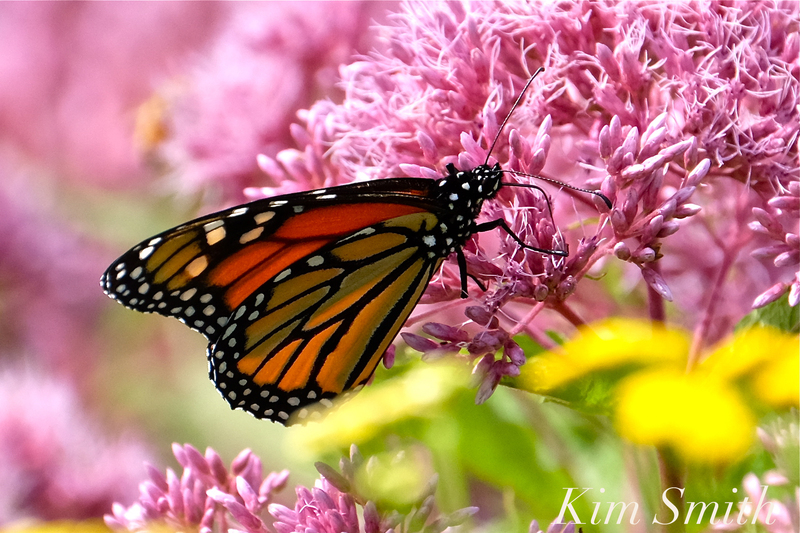 I began documenting the Monarchs in our region in 2006, which was a tremendous year for the Monarch migration through Cape Ann. 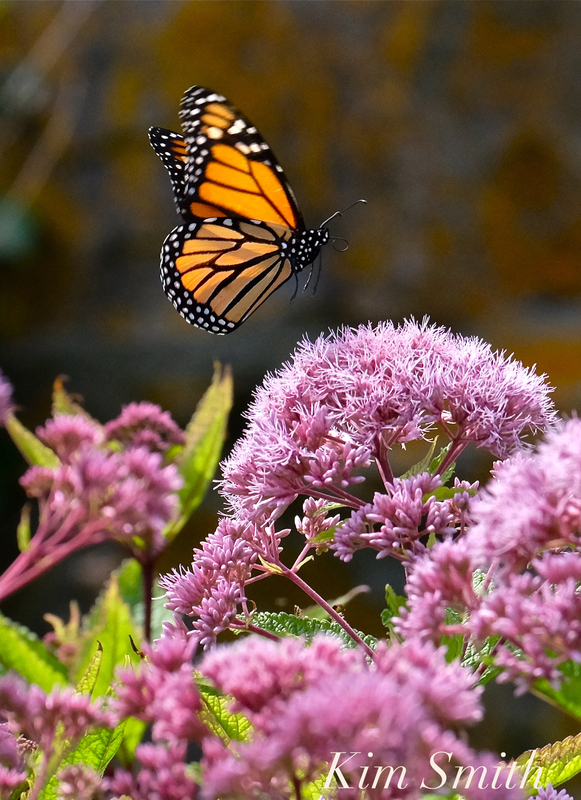 The year 2012 was quite strong as well, but in the past four years, as the worldwide population has plummeted, so have the Monarchs migrating through our area. 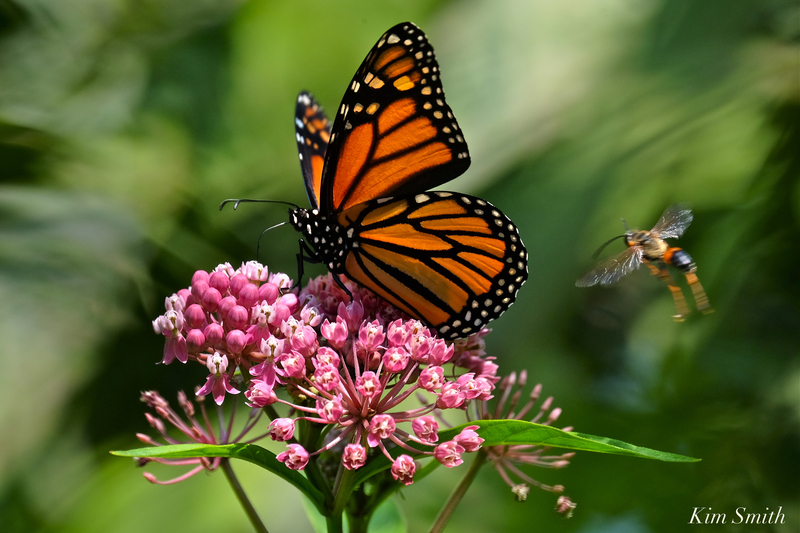 Imagine that in 1977 when the Monarchs were first discovered at their winter sleeping grounds, the butterflies were counted by the billions, while today only by the millions. My hope for Beauty on the Wing is that it will travel to the various conservation and environmental festivals, and then be made available to classrooms around the nation. Another dream for the film is that it will be translated into Spanish and French. Just as American and Canadian children are curious about the butterflies’ winter home after departing their northern breeding grounds, Mexican children are equally curious as to the butterflies’ destination after they leave the butterfly sanctuaries in central Mexico. The intent of this letter is to learn if amongst our readers there is interest in hosting a screening of the film in its not quite completed form. The purpose of the screening would be to raise money towards the film’s completion and distribution. And, too, I thought it would be a more fun, educational, and personal way to fundraise. To date I have received over $5,000 in generous donations. I am working with the non-profit filmmaker’s assistance group, the Filmmakers Collaborative. Donations made through FC are tax deductible. An itemized budget is available upon request. Beauty on the Wing is 54 minutes long. I thought we could show twenty minutes of highlights and then discuss the current state of the butterflies. Viewer feedback would also be of tremendous help. Screening parties could be so much fun, especially at this time of year during the butterfly’s migration, and especially in 2017 while we are seeing so many Monarchs on the wing. Readers, what do you think? Please comment on this post or write me at kimsmithdesigns@hotmail. Thank you so very much for your time, thoughts, and interest. This entry was posted in Angangueo Michoacán Mexico, Lepidoptera, Monarch Butterfly, Monarch Butterfly Film, Monarch Butterfly in Crisis and tagged Beauty on the Wing ~ Life Story of the Monarch Butterfly, Danaus plexippus, Joe-pye wildflower, Marsh Milkweed, Monarch butterfly, Monarch Butterfly Film, monarch migration, native plants for butterflies on August 15, 2017 by Kim Smith.